The Moran Arts Foundation has revealed the 30 photographs that make up the finalists of the 2019 Moran Contemporary Photographic Prize (MCPP). A startling image of the devastation on the Darling River and other images showing the impact of the drought are amongst the photographs that are in line for the $50,000 Prize. 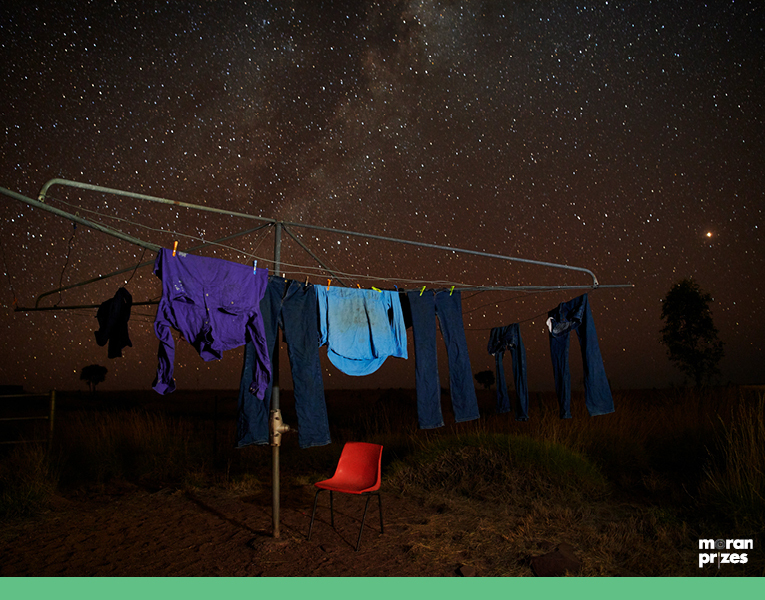 The Moran Contemporary Photographic Prize (MCPP) is one of Australia’s most coveted photography prizes with a total prize fund of $100,000. The 30 finalists have been selected from over 3000 entries by judges Cheryl Newman, Jon Jones and Stephen Dupont. Cheryl Newman is a respected international photographer and curator, Jon Jones is a celebrated international photojournalist and photo editor and Stephen Dupont is an Australian photographer, artist and filmmaker. Stephen Dupont said: “Selecting the thirty finalist’s works was a punishing task as there were so many strong and surprising photographs. I think this year’s finalists are testament to capturing the poetic storytelling of contemporary Australian life and culture”. The Moran Contemporary Photographic Prize (MCPP) was established in 2007 by the Moran Arts Foundation and it awards and promotes Australian contemporary photography and excellence in all forms of still, photo-based artwork – including analogue and digital photography or staged and directorial photo-media work. Photographers are invited to tell a story of how they experience living in Australia; places, people and lifestyle that make our lovable country quintessentially Australian. The winner of the 2019 MCPP will be announced on Tuesday 7 May. On the same day, the winners of the Student Categories will also be announced. This year’s student judges are Sally Mayman (Years K-6), Nicki Jackson (Years 7-8), Jim Filmer (Years 9-10) and Louise Whelan (Years 11-12).